The local availability of earthworms (and other foods) is very sensitive to microclimatic conditions, with drought or frost reducing food supply significantly. Because of this reliance on earthworm availability, badgers have provided an extremely sensitive model for looking at how the long-term survival dynamics of the population, as well as short-term behavioural adaptations, respond to weather patterns. 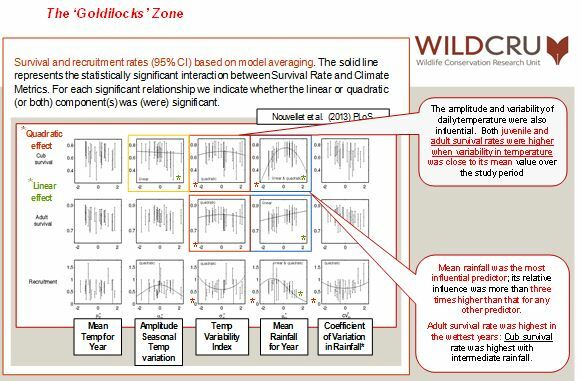 This is the specialist interest area of project leader Dr. Chris Newman, in the context of climate change effects. 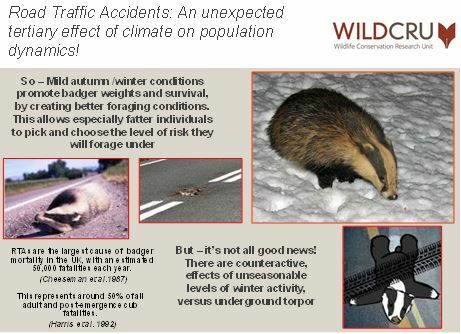 We have found that badgers actually benefit from mild winters (heavier, better survival, more cubs the next spring), although warmer conditions reduce reliance upon winter torpor, and can lead badgers to suffer more traffic accidents as they wander further during the February-March breeding season. Summer droughts prove problematic, however, especially for developing cubs that suffer simultaneously from a lack of earthworms and malnutrition and from endemic gut parasites, to which they have not yet acquired immunity. 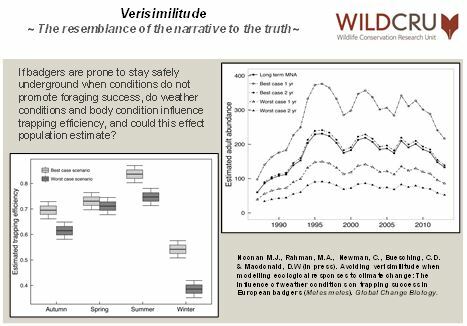 Crucially it is weather variability that has a negative effect on badger survival. 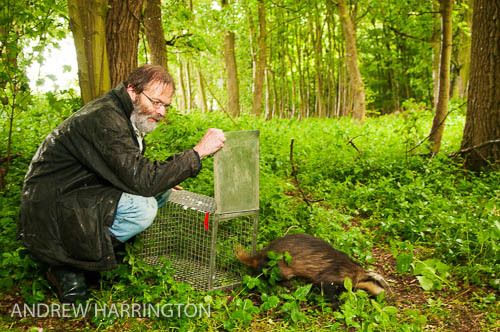 Badgers like conditions through the year to conform to those they evolved to accommodate, and so the fine-tuning of their adaptive behaviours is thrown off course by aberrant weather patterns. This is an important and often overlooked fact, because an ‘average’ year could be comprised by rapid oscillation between unusually hot and cold days, and so it is essential to peer behind the curtain of mean weather conditions.